In this issue, we are focused on supporting you in your individual spiritual growth, with hopes that this will transform your relationships, family, community, environment, country and ultimately the world. Are you looking for ways to make positive change today? See the idea list on p. 12 for places to get started. Are you feeling stuck? 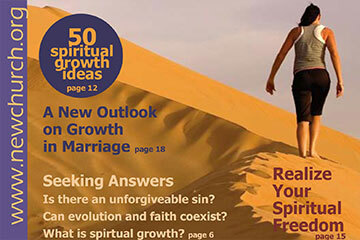 Explore the article on “Realizing Your Spiritual Freedom” on p. 15. Feeling discouraged that change is not possible? Find hope and direction in Thane Glenn’s article on p. 20. Feeling alone on your journey? Read Sparrow Gabriel’s story of finding support and community through spiritual growth on p. 8. Spiritual growth can feel overwhelming, even on a good day. Fortunately, you are not alone. Take steps today to find support to help you live and grow spiritually.